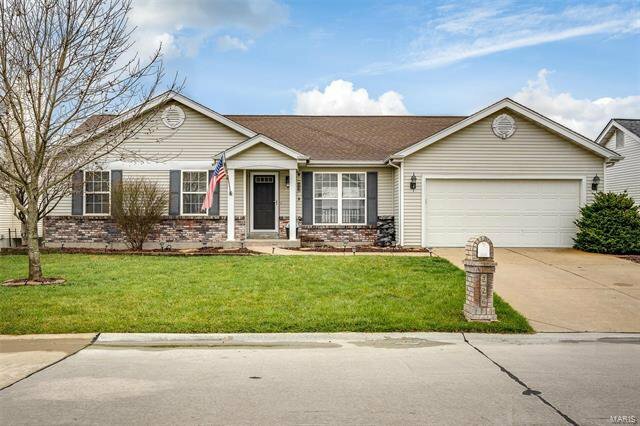 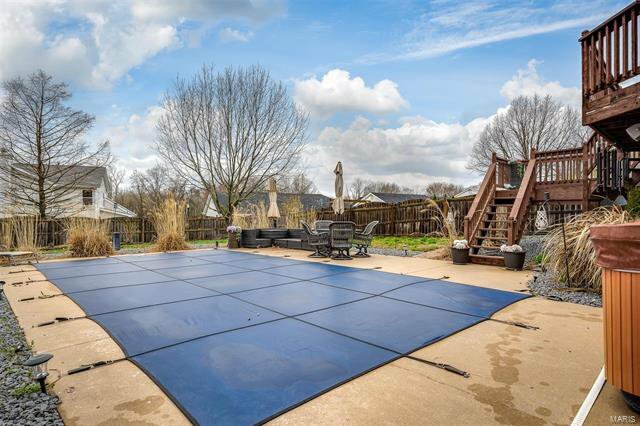 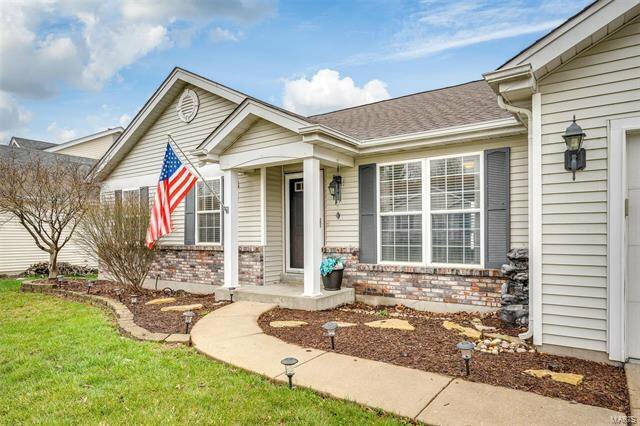 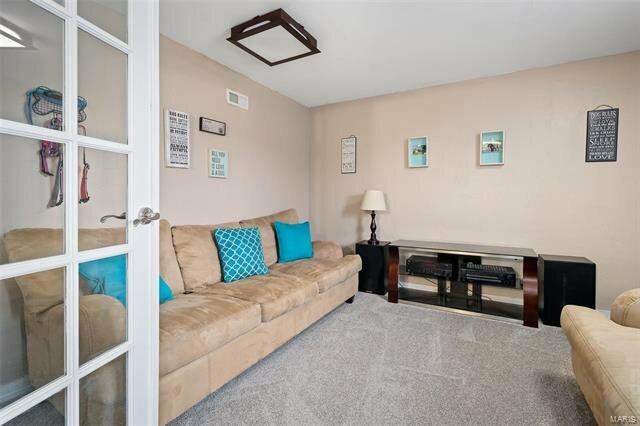 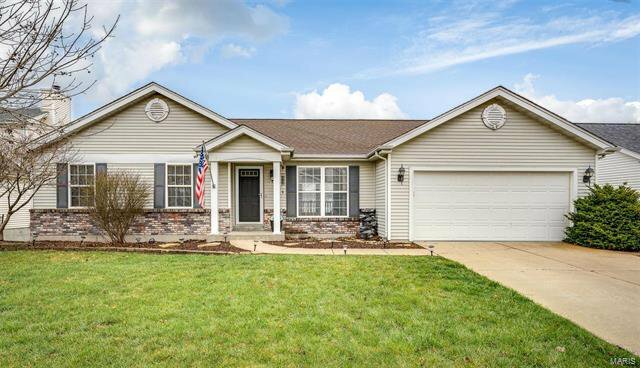 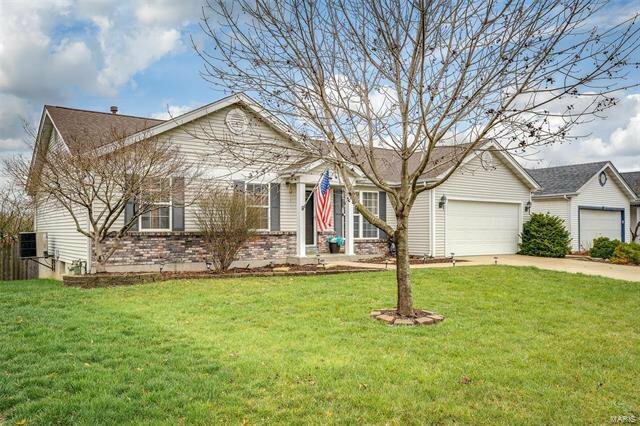 Charming vaulted ranch home in the highly desirable neighborhood of Royallsprings in O’Fallon, MO. 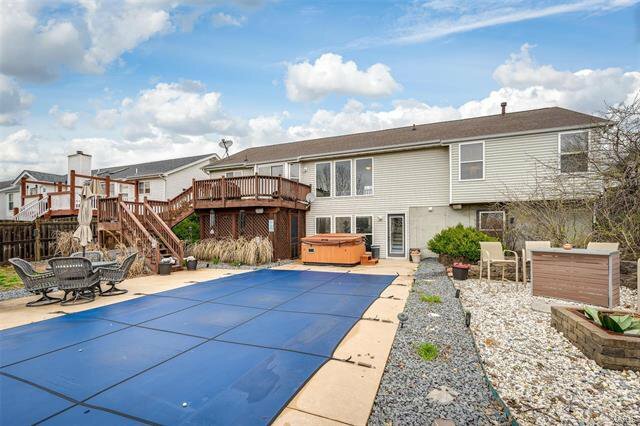 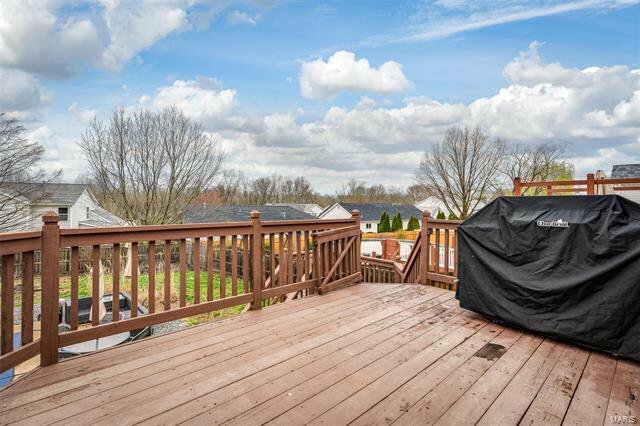 4 BR, 3 full baths, huge great room, large eat-in kitchen with center island/breakfast bar &amp; slider stepping out on to a great deck. 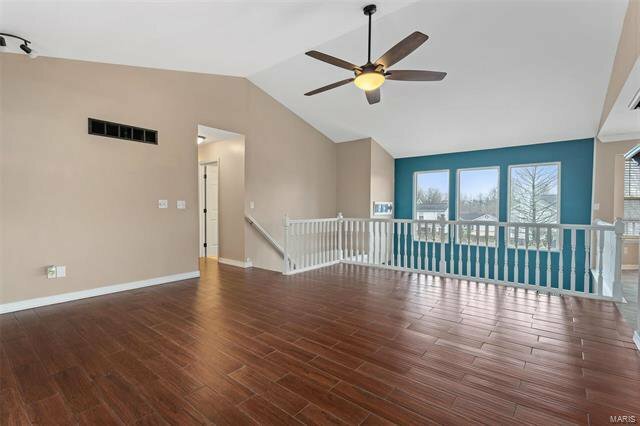 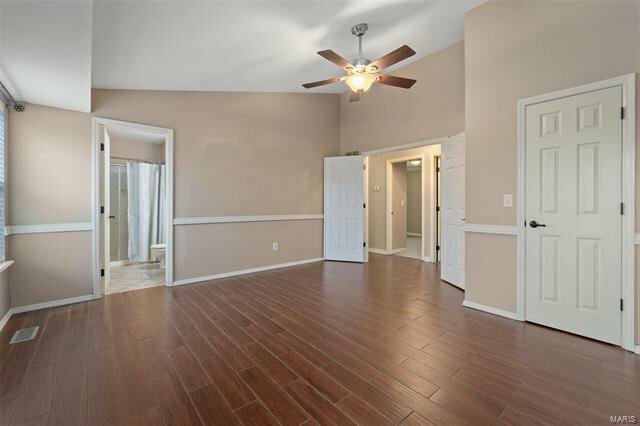 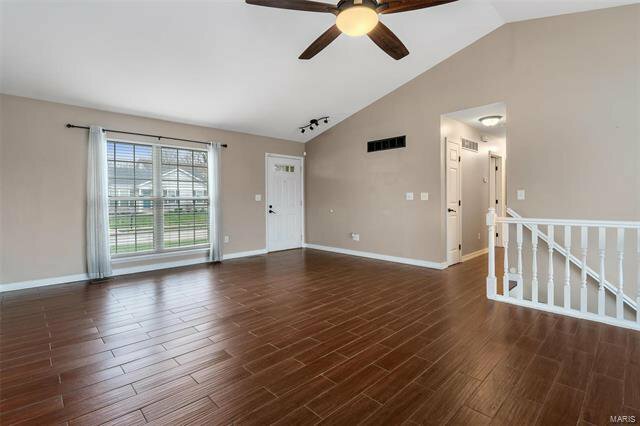 Soaring ceilings greet you as you step into the large great room with updated wood look tile flooring. 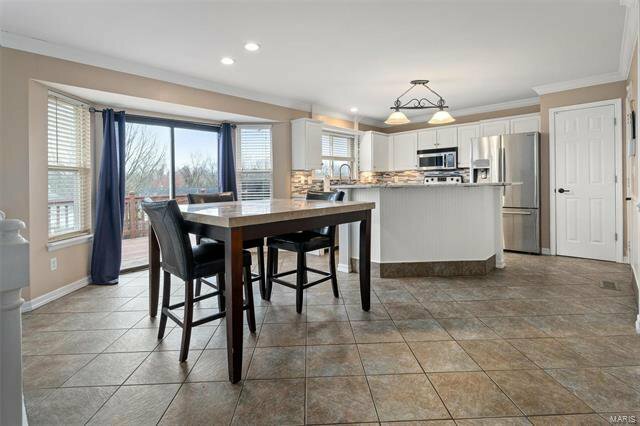 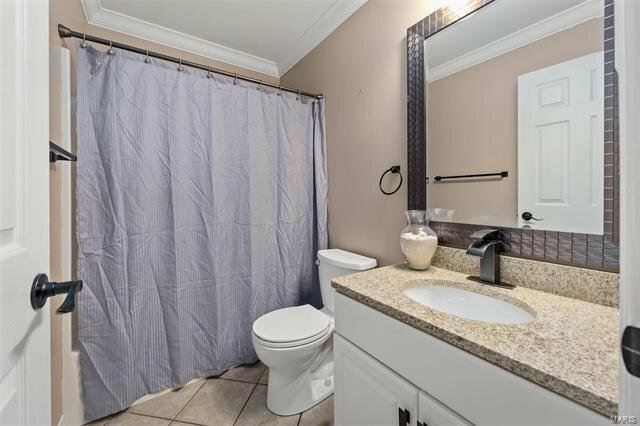 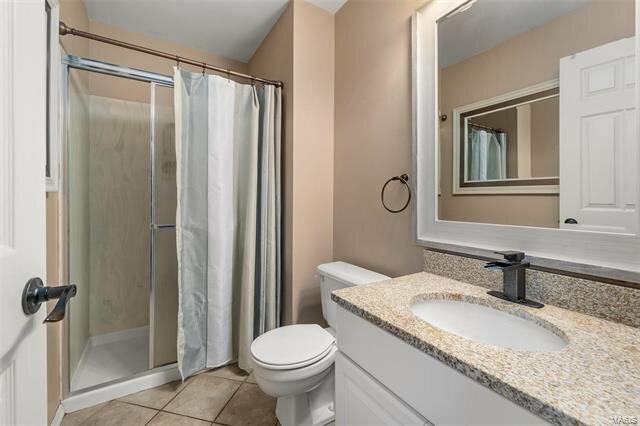 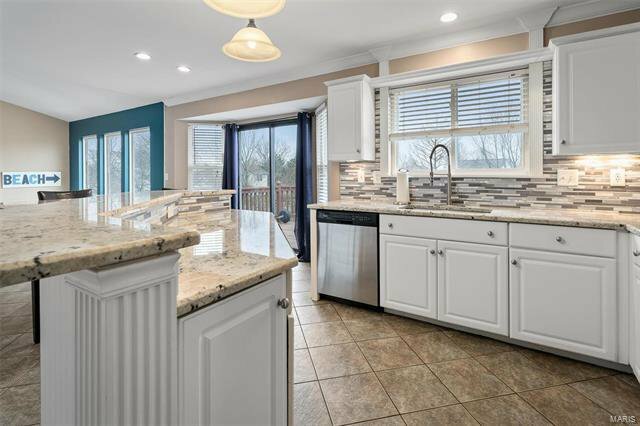 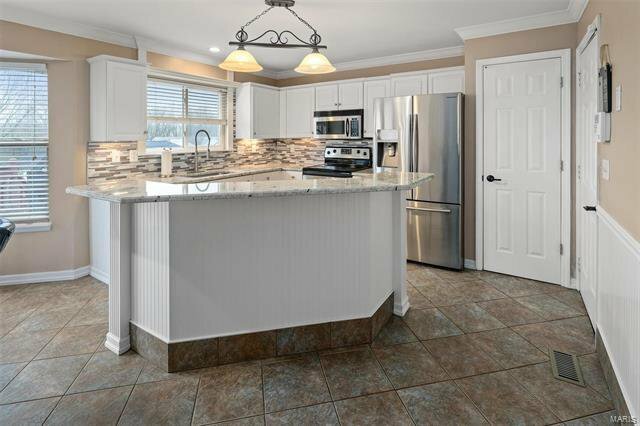 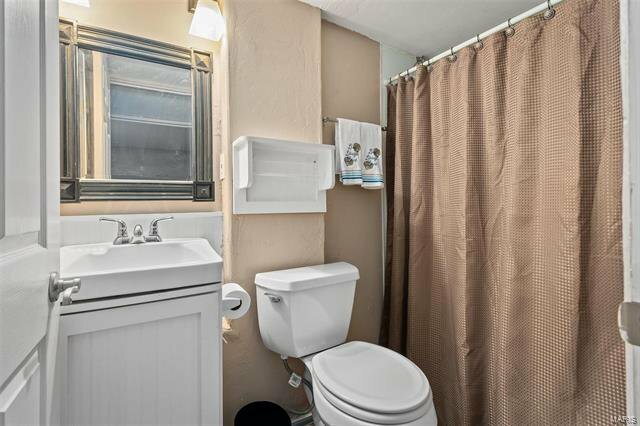 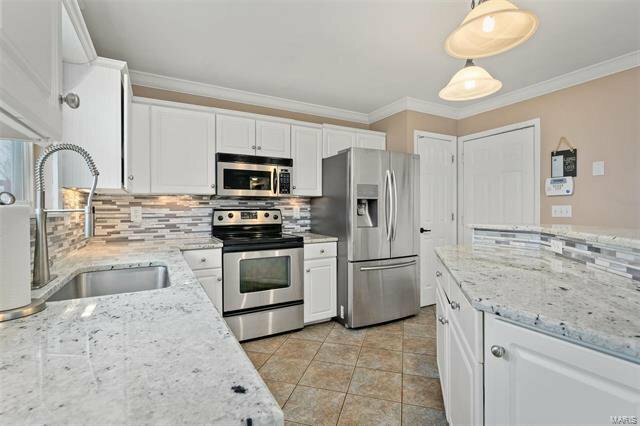 The newly remodeled kitchen with white cabinets with brushed nickel hardware, newer matching appliances, new granite countertops and beautiful tile backsplash! 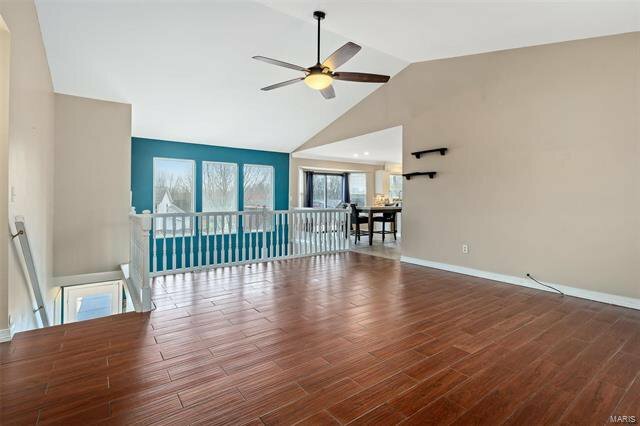 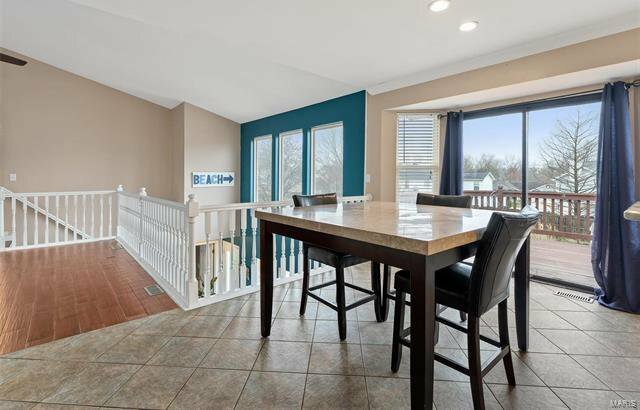 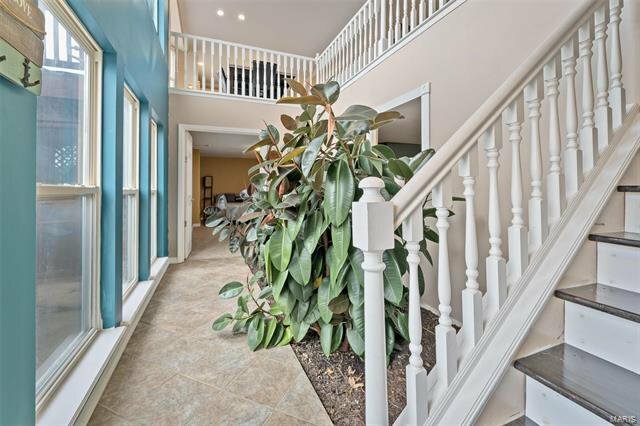 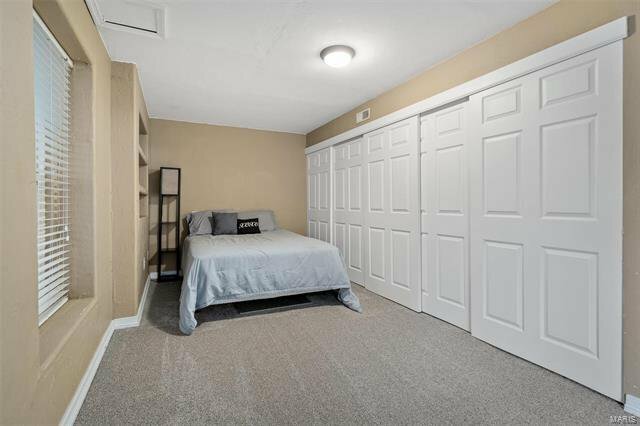 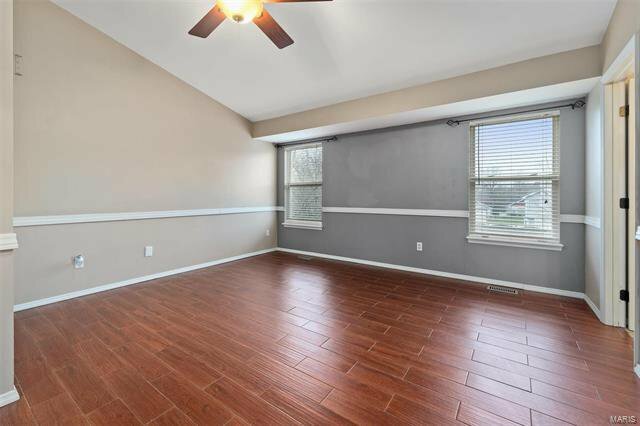 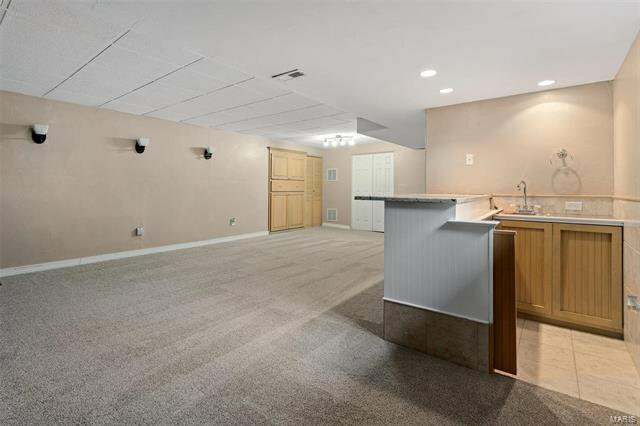 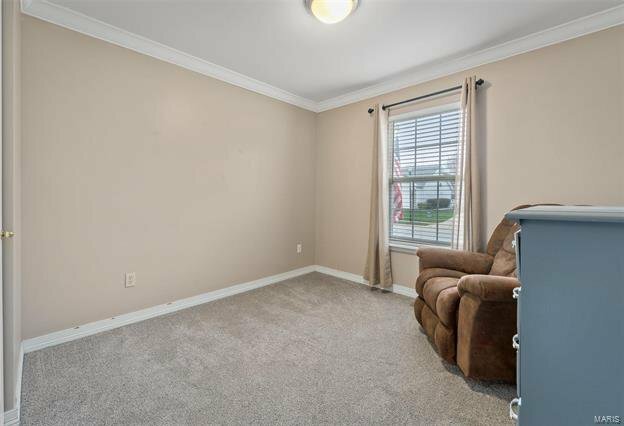 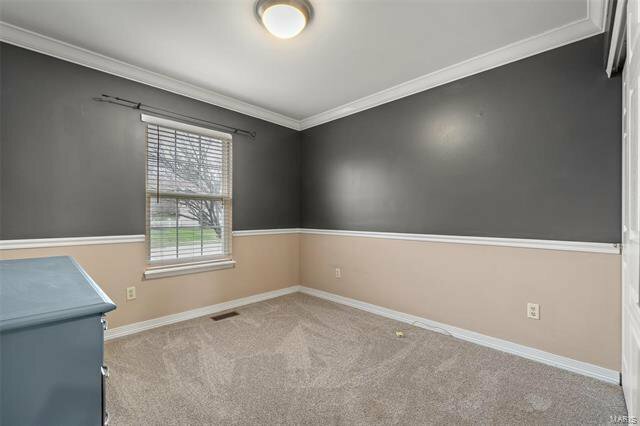 Six-panel doors, vaults, recessed lighting, 2in white blinds throughout, ceramic tile and new carpet flooring in living areas, open atrium staircase that leads you into the finished basement. 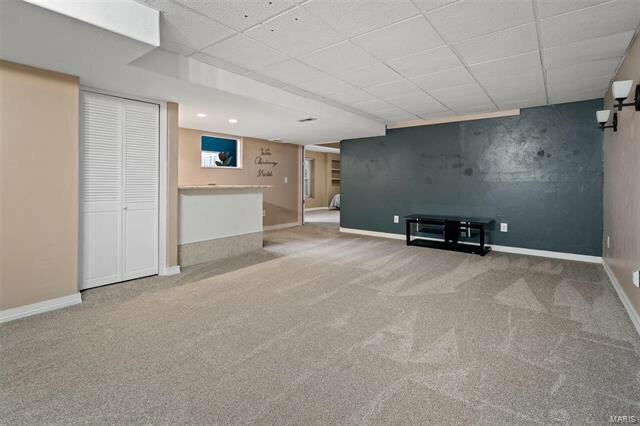 The walk out lower level is open with a bar, game room, a sleeping area, a full bathroom, and large laundry/storage area. 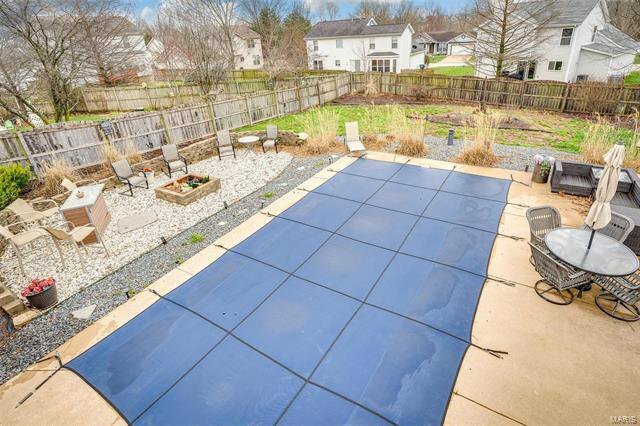 In ground chlorine pool, featuring a new pool cover, filter, and pump. 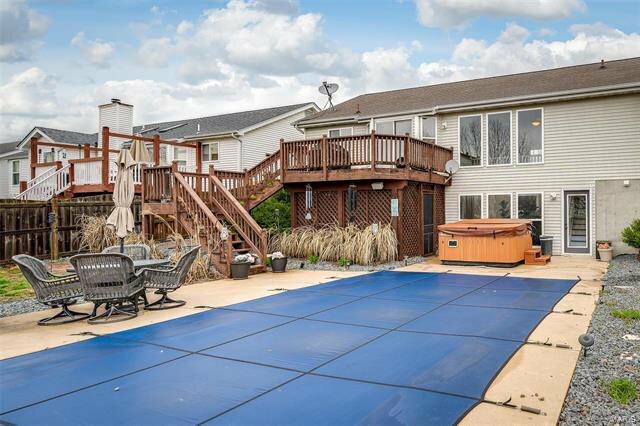 Additionally you can relax in the stone fire pit area and hot tub. 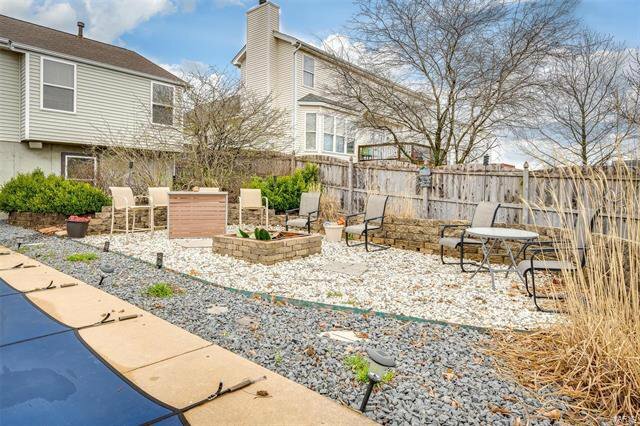 6ft privacy fence in backyard.